I have courses selling on Udemy, Teachable, Thinkific, Amazon and Skillshare and you can too! Check out the courses below. Review their content and key sections. Take a look at the testimonials from 5 Star Rated Reviews. Find the courses you need and click on the links to enroll. The links will take you directly to the course in Udemy and include a GREAT DISCOUNT built right into the link. Enjoy the Courses and I wish you great success! 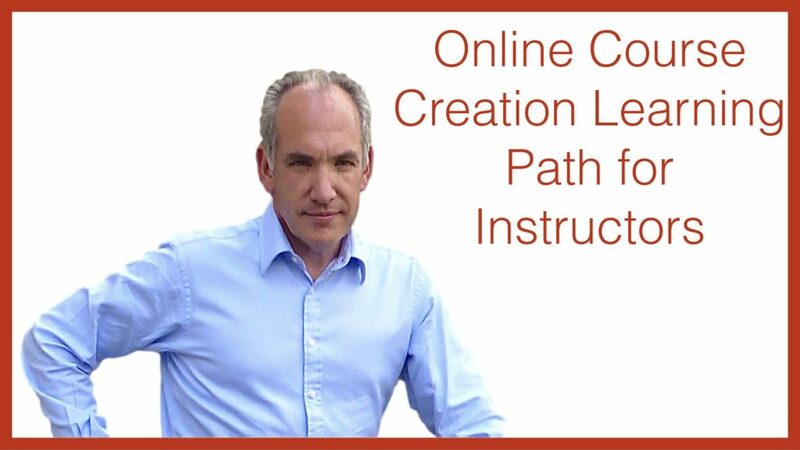 Over the past five years I have created more than a dozen Courses about Online Course Creation which I have published on Udemy, this Learning Path is designed to help you to find the content which is most helpful to you. This course offers the absolute novice a brief introduction to Online Course Creation, with sections focusing on each of the four stages. Its the ideal starting point if you want a quick overview of online course creation. “I enjoyed the course because the information provided was direct and to the point. The information will be very useful in developing courses.” Loretta A. “Very precise and practical tips in planning your Udemy course” Wade C.
“This course is very in depth for beginners. Very well presented. Thank you.” Bobbie S.
Lets take a look at the Planning phase in a bit more detail. The ideal place to start if you are planning to publish on Udemy is to master the Udemy Marketplace Insights which can be found inside your Instructor Dashboard. What is the Value of Your Topic and Opportunity? Inside Udemy Marketplace Insights: Why are Related Topics Helpful? What Can You Learn From The Top Earning Courses? “Excellent insights into the use of Udemy Insights for improving an existing course or planning a new one.” Andrew M.
“Really helpful information for someone in the planning stages of creating a course. The process is a bit overwhelming and there’s a lot of information available, and this instructor really breaks it down into manageable pieces to clarify what’s important to look at if you want to be successful.” India D.
“Great instructor with a wealth of experience. The insights from John’s course has really helped be not only to decide on which courses to create for the future, but also on how I can use the SEO to my advantage. Very much recommended!” John H.
A deeper understanding of the competition on Udemy can be found in my course which includes my Udemy Course Directory. This is a unique course in Udemy. I am very data centric and like to understand a market place in detail. This course was designed by me with this goal in mind. Providing excel spreadsheets to cover all the Udemy Categories. I also show you how to carry out competitive analysis which will help you to design and create even better courses. Why You Need This Course – Students and Instructors Alike! October 2017 Update – Now With Excel Spreadsheets too! “Very thorough information and over the shoulder views of how to use a complicated tool to get outrageous results for students and instructors-to-be (like me). If you don’t understand what is in this course, then you are working at a GREAT disadvantage. The worse part is, without this course “you don’t know what you don’t know.”” James L.
“John has done an incredible job of compiling this information. An essential tool for anyone who is planning or promoting a course on Udemy.” Joan S.
While we are exploring Udemy, I would like to share another free course with you. This is again introductory and helps you with some skills in all four areas of course creation. When you are ready to really deep dive into Online Course Creation, you should consider enrolling in and working through my main Udemy Course which offers over 20 hours and nearly 200 lectures covering the subject thoroughly. PLANNING – What do you know about Udemy? This course has consistently been ranking at the top of udemy organic search for Online Course Creation. With over 2,700 students enrolled and over 103 ratings, the course has been instrumental in helping instructors create and sell online courses on Udemy and elsewhere. “Based on what I have seen till now,it’s the best course in this area.Thanks John,for creating such a wonderful course” Haritha R.
“I found the course to be very detailed and informative. John is engaging and obviously is very knowledgeable in the field. His explanations are clear, concise and to the point. I’m looking forward to putting this information into practice. Thank you John!” Tania M.
“Engaging! This course motivates and helps me to understand Udemy landscape and prepare to create successful courses. The instructor wants students to succeed. That is very encouraging!” Sam O. Lets digress into Course Production for a moment. One of the best free software packages out there for handling audio is Audacity. As I am sure you have heard, nothing kills a course faster than poor audio tracks and Audacity is your insurance policy to prevent you falling into this trap. It is the work of a few minutes to export your audio track from your video, optimise it in Audacity and re-import it into your video. The course also has the advantage that it shows you how you can create an audio book or stand alone audio track of your course for your students. “I was looking specifically for the basics on Audacity that he covered so quickly and so well.” John W.
“Mr John is an amazing instructor and his instruction delivery is very engaging. The course is full of valuable information which is helpful for emerging and existing instructors alike. I learned so many new things. Highly recommend this course.” Faisal Q. The biggest challenge of Online Course creation for instructors seems to be the PROMOTION segment of the process. I am continually asked by other instructors how they can get more sales for their courses. This has prompted me to create a series of specialised courses in the recent past about PROMOTION. Learn from the Best Instructors – How Many Different Ways Can You Promote? How Effective Are Your Promotions? The course is full of templates and real examples of high converting emails so that you can follow these and not have to write your own from scratch. This feature of the course is worth the cost of enrolment. “Another great course you made John! I am glad I got the opportunity to see more examples of educational and promotional announcement to engage more with my students. Thank you” Samantha C.
“Lists a whole slew of terrific promo techniques and how to make them work even if you are a complete newbie to creating course promotions!” Bart H.
“Yet again, John delivers another amazing course. Very easy to follow lectures. Very responsive when it comes to student engagement. Cannot wait for his upcoming courses.” Khalid H.
One of the best ways to increase your income from your course sales is to sell your courses in other market places and my joint course with Dave Espino shows you how to do this on Amazon. This course launched like a space rocket to an amazing reception and students were listing their online courses on Amazon within days. “Very clear with step-by-step instructions! The instructor responded to my questions within a day, which was great. My course got published on Amazon 2 days later!” Julie B. “Great course so far. Dave and John are both highly skilled and professional instructors and I am excited about getting my digital products ready for the Amazon market, thanks to this course.” Steven G.
One of the challenges for new instructors is getting their first sales. I have seen this question asked in Facebook groups repeatedly. How do I get my first paid sales? The course also includes an activity for every section to ensure that the instructor takes action! “I learned so much from this course. John is a great teacher and he really is giving very important and fantastic information that you can use to get more paid students. I recommend this course.” Kareem I. “Helpful, valuable tips, great teaching style. My favorite course for sure!” Hannah M.
“An excellent, systematic approach to managing your course and your interaction with your students.” Mark M.
One of the keys to success with Online Courses is to make sure that your business is organised and systematised so that you can measure and manage your portfolio of online courses. How to Get More Ratings and Reviews – Legitimately! What Happens to Private Courses? Free Courses vs Paid Courses – Whats the Best Strategy? As this course was only launched last week, I do not yet have any reviews. You could be the first to rate and review the course. All I know is that the launch is going very strongly and I am really excited about this course. This Learning Path is the culmination of nearly five years hard work mastering online courses. What I would have given for this as a resource when I was starting out. These 13 Courses and over 130 sections. There are over 580 lectures which contain the best content I can create for you based on my experience of creating best selling courses enjoyed by over 59,000 students. Don’t wait another day. Find the courses you need to become an even more successful Online Course instructor or launch you new career path today!